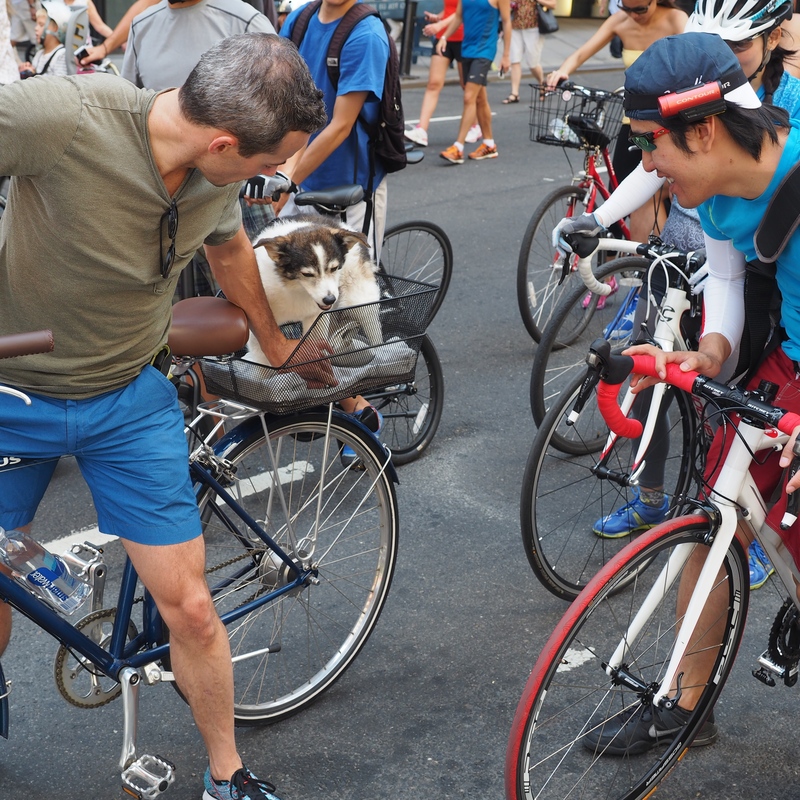 Summer streets in New York City, 2014. 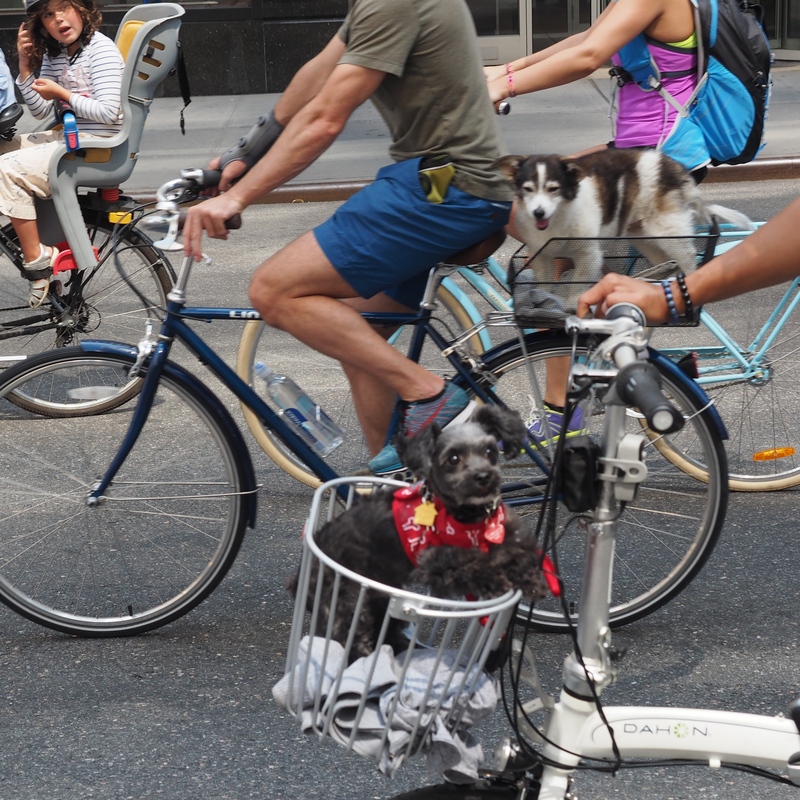 In anticipation of the upcoming Summer Streets in NYC, another never before posted photo from the found archives. 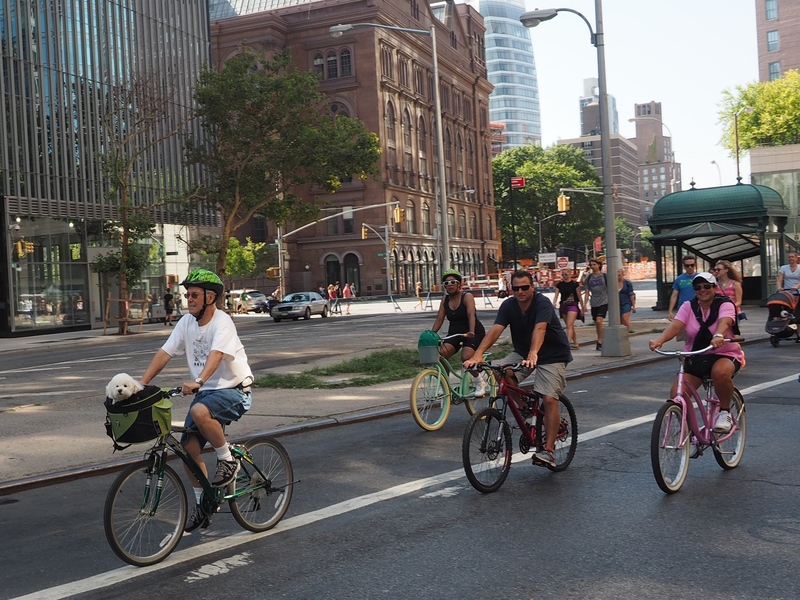 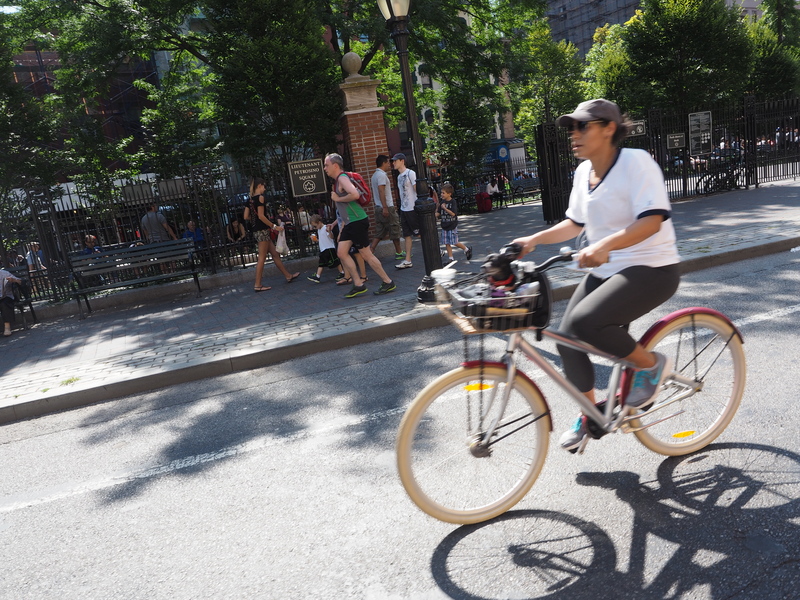 If you’re visiting NYC this weekend, get your hands on a bike and take a ride – there’s really no better way to see a nice stretch of the city sans cars. 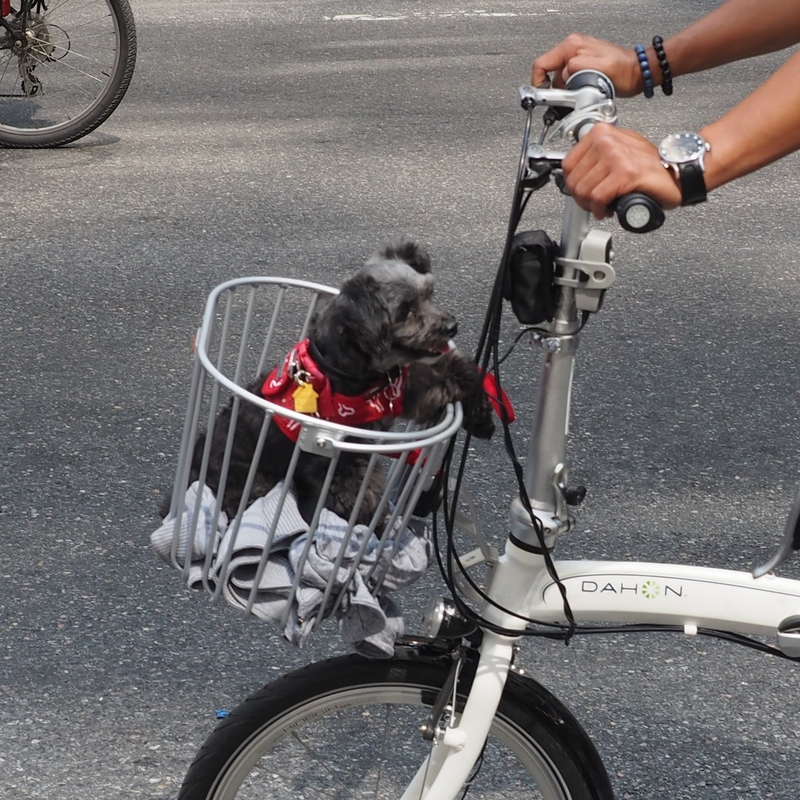 Probably un-posted since I cut off half the rider’s head. 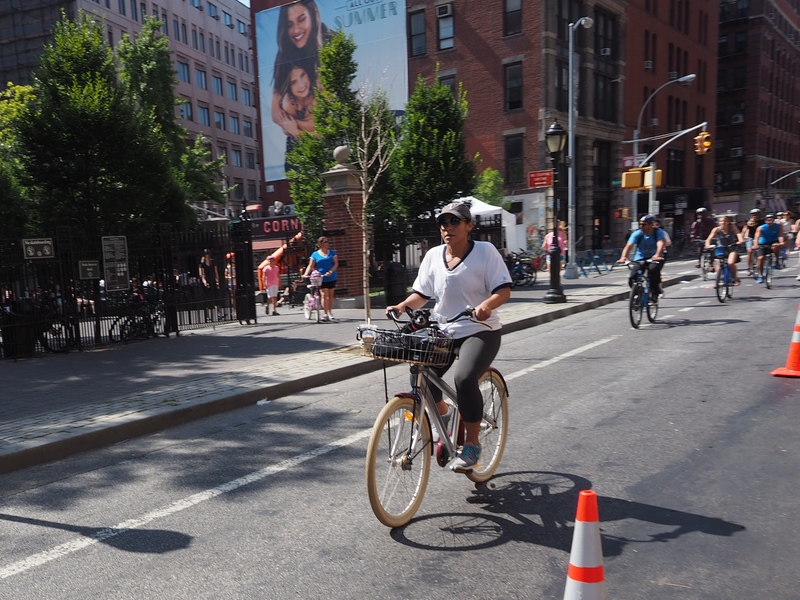 I found a folder of photos from last year’s Summer Streets, three Saturdays in August each year when Park Avenue/Lafayette Street from the Brooklyn Bridge to 72nd Street is closed to cars. 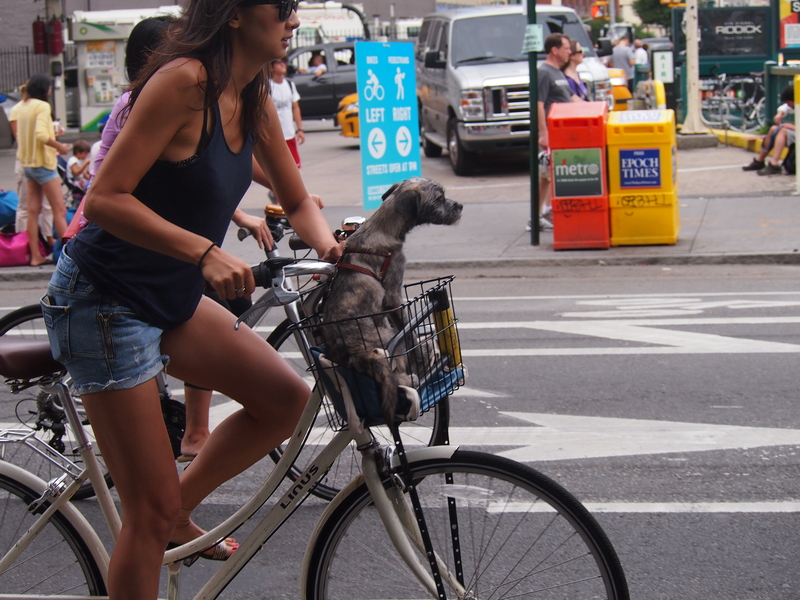 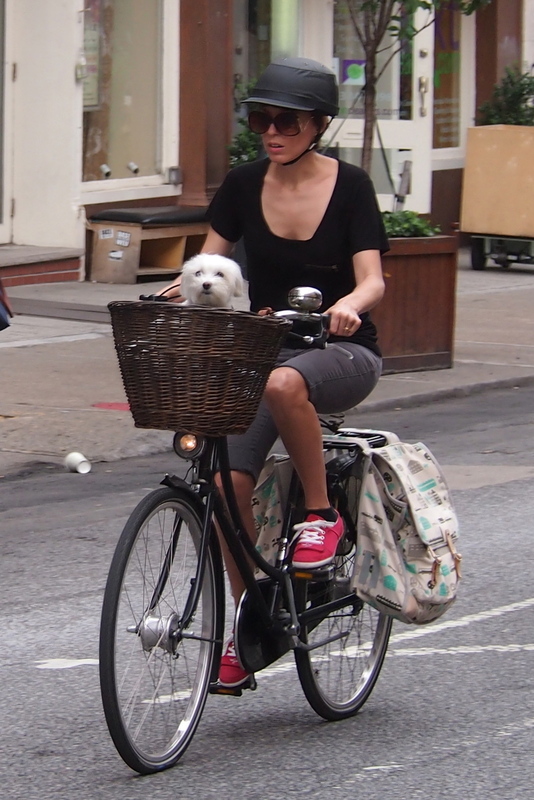 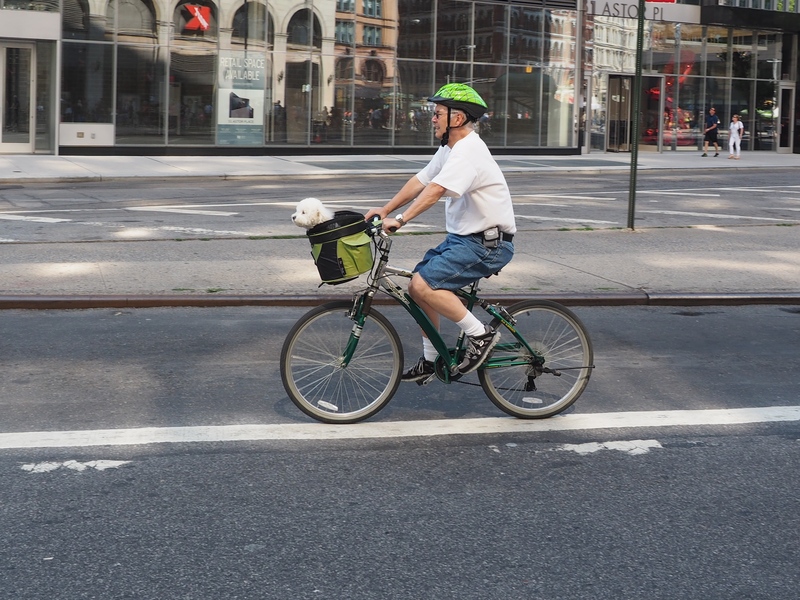 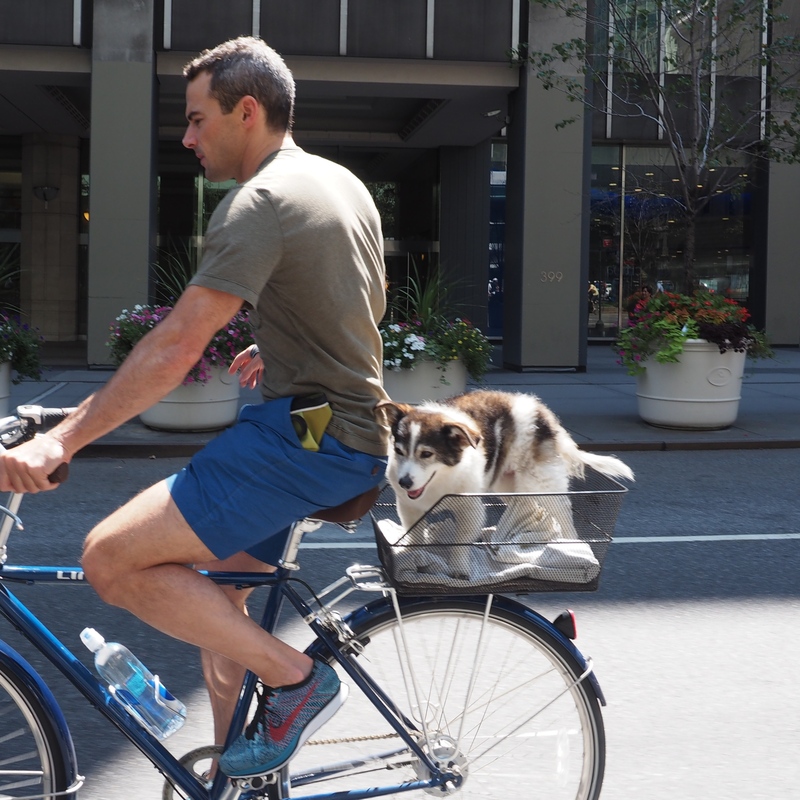 I get a kick out of the dog peering over the basket slightly cross-eyed, the big bell on the handlebars, the funky panniers, and of course the red sneakers.